Sayagyi U Ba Khin, my revered teacher, strongly believed that 2500 years after the Buddha's mahaparinibbana (final passing away of Enlightened Ones), the second Buddha-sasana (cycle of teaching) will start again in the land of its origin, and from there spread throughout the world for the boundless benefit of humankind. Dhamma will again arise with the practice of Vipassana. For millennia, Vipassana was lost to India. But it was preserved in its pristine purity in Myanmar (Burma). Close to the end of this 2500-year period, the historical Sixth Council was held from 1954 to 1956 in Yangon (Rangoon). It was during this time - from 1st to 11th September, 1955 - that I got my Dhamma birth. I sat my first Vipassana course. 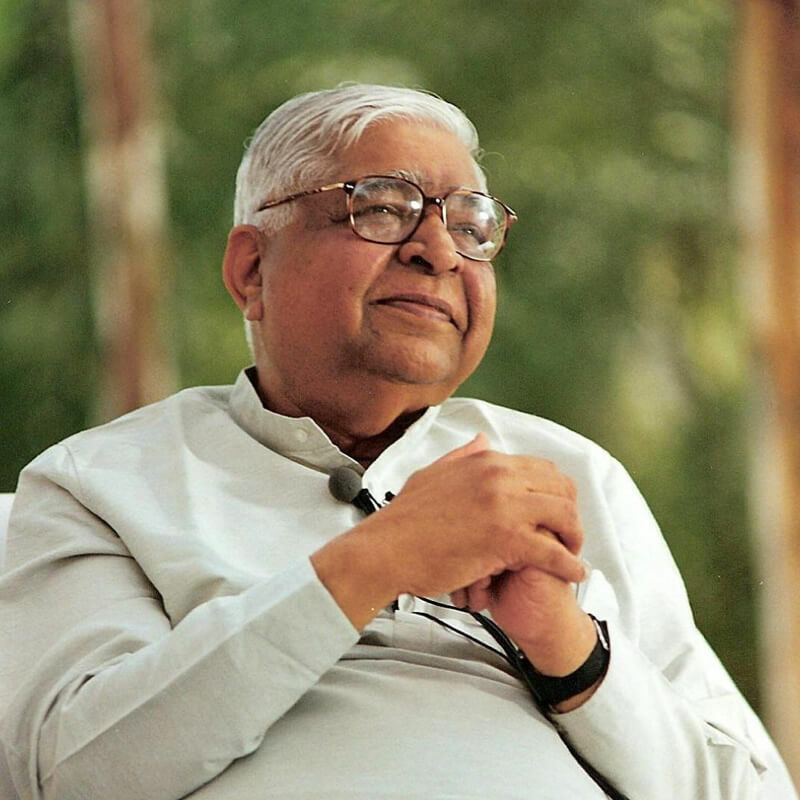 After benefiting me immeasurably for fourteen years, Vipassana returned to India on 22 June, 1969, with the blessings of my teacher. An interval of about 2000 years had passed. In spite of all the self-doubts about my ability, Dhamma started to take root in India. I am merely a medium. Dhamma is doing its own work. "The clock of Vipassana has struck," Sayagyi often said. "At this time, many people endowed with abundant paramita have been born in India and in the other countries of the world. The ticking of this Vipassana clock will attract these people towards Dhamma". So it happened. Innumerable people from different countries, religions, beliefs started participating in courses. So too did leaders of various religions. All of them accepted this technique as their own; none of them felt that it was alien. These intitial Vipassana courses were taught only in Hindi since the majority of courses were held in North India. After a few months, a few westerners also started participating in these courses. After giving the Dhamma talk in Hindi, I used to give them a five or ten- minute discourse summary and instructions. These students were very hard working and this brief guidance was enough for them to achieve surprisingly good results. 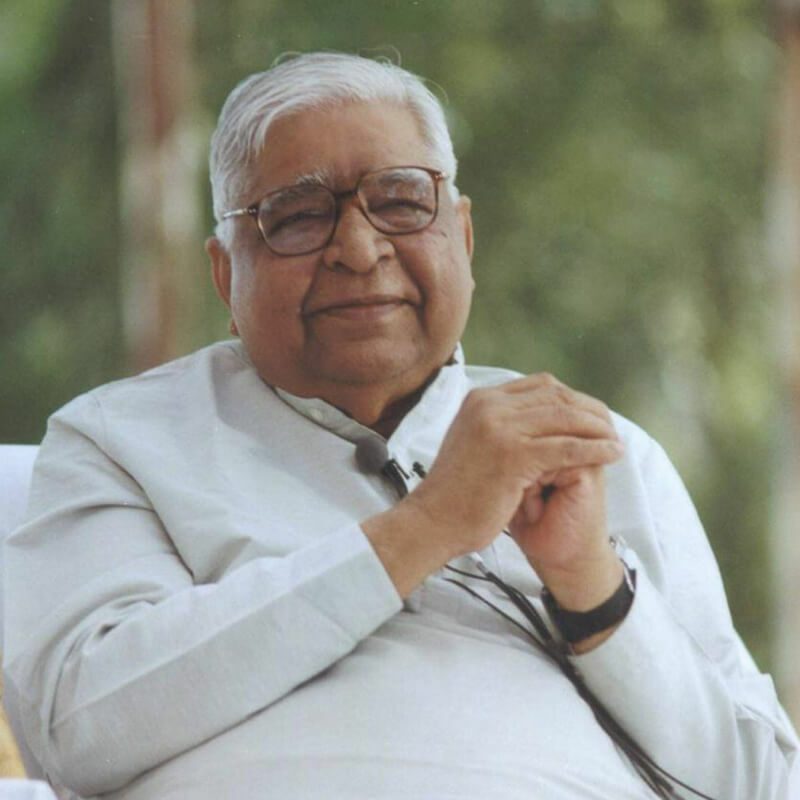 Gradually, words of praise of Vipassana spread amongst western travelers. A year later, a group of tourists staying at Dalhousie requested me to come there and conduct a course exclusively for them. It was difficult for me. The entire course would have to be conducted in English. To talk a few English sentences of guidance and to clear their doubts would have been simple. But to give an hour-long discourse fluently in English, or to give long, inspirational instructions throughout the day, as I did in Hindi, was impossible for me. In Rangoon, I used to read out a written speech whenever I had to give a talk in English as President of Chamber of Commerce and Industry, or at any important public function. I neither had the experience nor the ability to give a talk in English without reading from a text. And a talk on meditation, in which I have to give English equivalents of technical terms of Indian spiritual traditions, was even more difficult for me. So I expressed my inability to conduct a course in English and advised them to keep joining courses conducted in Hindi in small numbers. They argued that whereas Hindi - speaking students benefited greatly from the inspiring discourses and instructions, the foreign students were deprived of this benefit. Besides, they were convinced I knew enough English to conduct the course. When I still refused, they contacted Sayagyi U Ba Khin and complained to him about me. "Sir, outside Burma, only one of your representatives is teaching this technique and he is not accepting our request", they told him. "Where can we go to learn this technique?" Besides, in those days, one could not get a visa to Burma for more than three days. So they pleaded with Sayagyi that he should order me to conduct courses in English. I was in Bombay, then. My revered teacher telephoned me and ordered that I should go to Dalhousie to conduct that course. He told me with loving firmness: "You must go. Whatever English you know will be enough. You will be successful. Dhamma will help. All my mettā is with you." After getting such a powerful reassurance I went to Dalhousie. I had nothing against going to Dalhousie. In fact, I had reasons to look forward to the trip. This would be my first course in the lap of the Himalayas. Sayagyi used to say: "Who knows how long in how many lives we have meditated in the serene caves of the Himalayas." That is why on reaching there, my mind was filled with rapture. My self-doubts began to melt. The course started. For the first two days, while sitting on the Dhamma seat I experienced an inexplicable feeling of suffocation. As a result, I was unable to speak for more than fifteen minutes the first evening. On the second evening, I had to struggle to speak for about twenty-five minutes. I felt suffocated again. Although, I found no cause for it in the surface layers of my mind, I felt that maybe the inferiority complex of having trouble speaking English was creating obstacles at the deepest level. But the actual cause turned out to be something else. This was a small course with eleven students. It was conducted in a little bungalow called Shanti Kutir. The group sittings and discourses were held in a small room. The student who had invited me for the course lived in the adjacent room. On the third day, I felt strong, impure, anti-Dhamma vibrations flowing from that room and polluting the adjacent meditation room. With the pure vibrations of the Himalayas on the one hand and the powerful mettā of my revered teacher on the other hand, I could not understand what could cause these anti-Dhamma vibrations. That afternoon, when I went to that room to check the student, I was startled to see a human skull on his table. Nearby was a blood-stainedkukri, [curved knife used by Gurkhas]. The student explained he was the disciple of some local tantric [member of a mystical cult]. Only three nights ago he had gone to the cremation ground, and had made an animal sacrifice with this kukri as part of a tantric ritual. His guru had told him that his meditation would be very successful if he kept the skull and kukri close to him. Now I understood the cause of the suffocating, negative vibrations pervading the meditation room. Only after much persuasion by me did he throw that kukri and skull in some cavern faraway. And only then was the anti-Dhamma force eliminated from Shanti Kutir. That afternoon, I meditated on the Dhamma seat for a long time. The time for the evening discourse approached. I saw that the entire atmosphere, washed by the purifying waves of the breeze from the Himalayas, had become even purer with the mettā-filled Dhamma vibrations from my revered teacher. Just a few moments before the start of the discourse, Dhamma vibrations flooded my being through the top of the head. I began the discourse and I found I spoke English as fluently as I speak Hindi. I spoke for an entire hour. After the five-minute break, I gave long instructions with the same fluency. I could see that all meditators - male and female - were absorbed in deep meditation. At 9:00 p. m., when the day ended, their faces were radiant. I was wonderstruck. It was Sayagyi's mettā that gave me the Dhamma strength to turn what seemed impossible to possible. The first-ever Vipassana course in English became successful. What Dhamma desired happened. After this, all courses were bilingual. Daily, I gave Hindi discourses in the morning and English discourses in the evening. Instructions too were bilingual. More courses and courses with more students were conducted. The number of foreign students progressively increased. Courses in places like Bodhgaya, Kushinagar, Varanasi and Rajagir had almost only foreign students. Word spread to many Western countries. Groups of foreigners came to learn Vipassana. With courses often running full, many had to wait for the next course. In a few years, thousands from about eighty countries came for Vipassana courses. Students came from neighbouring Sri Lanka and Thailand. The time had come for the prophecy and Dhamma wish of Sayagyi to come true. Vipassana will spread throughout the world. Perhaps that is why it became possible to conduct courses in English. 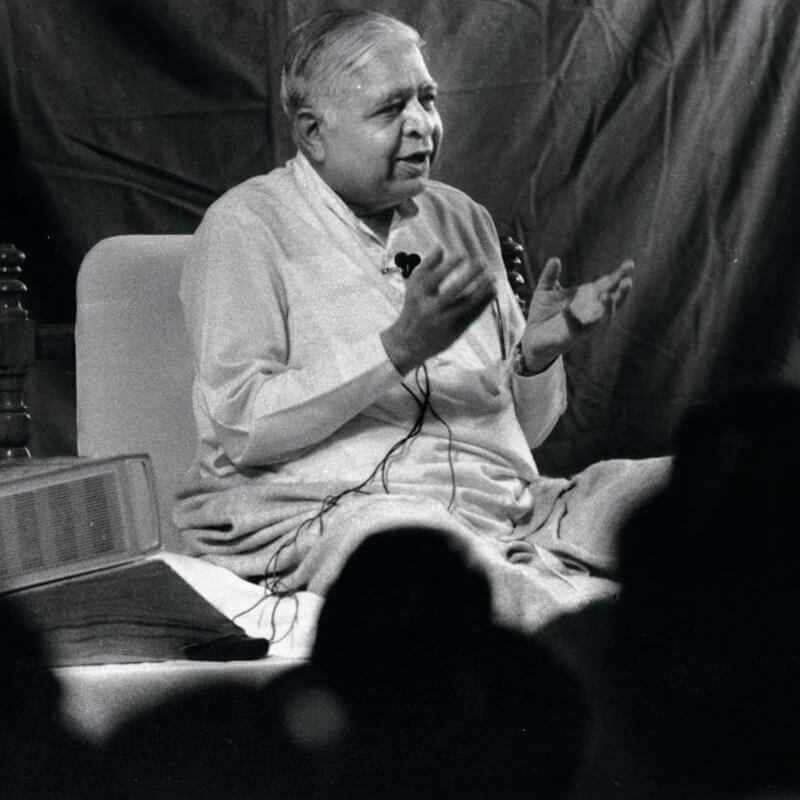 Without this, Vipassana would not have spread among the people of foreign countries. I felt contented. The Vipassana flood gates had opened and the infinitely beneficial Ganges of Dhamma also flowed to students outside India, to the world.